Hilarity for Charity will take place at the Hollywood Palladium this weekend. 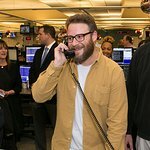 Hilarity for Charity (HFC) is a nonprofit movement, led by Seth Rogen and Lauren Miller Rogen, dedicated to raising awareness, inspiring change, and accelerating progress in Alzheimer’s care, research, and support through the engagement of millennials. HFC’s flagship Los Angeles Variety Show returns to the Hollywood Palladium on Saturday, March 24 for its 6th annual event and, for the very first time, the Variety Special will be available to stream on Netflix. 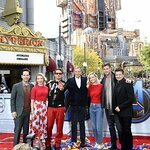 Past performers and special guests have included Snoop Dogg, Miley Cyrus, Paul Rudd, Bruno Mars, Tenacious D, Patton Oswalt, Aziz Ansari, Judd Apatow, The Backstreet Boys, Samuel L. Jackson, Kevin Hart, Mindy Kaling, Sarah Silverman, Weird Al Yankovic and more. Special guests and performers will be announced soon.